Dr. Mohamed Mohi Eldin is a highly respected, experienced neurosurgeon, specializing in minimally invasive spinal surgery. He completed a highly competitive and prestigious microsurgical fellowships. He is known for his gentle operative technique, excellent bedside manner and compassionate patient care. He employs pioneering image-guided surgery, to design and navigate safe surgical corridors for patient-specific anatomy. He is often called to help other spine surgeons with difficult cases. He exercises meticulous operative technique, aiming for the best outcome for his patients. He is frequently referred by other doctors for their own family members. He has an excellent safety record among his peers and has performed over 2,000 spine procedures. Dr. Mohamed Mohi Eldin completed his medical training with honors at Cairo University. He received his neurosurgical residency training at Cairo University Hospitals. He continues his affiliation as a clinical faculty. 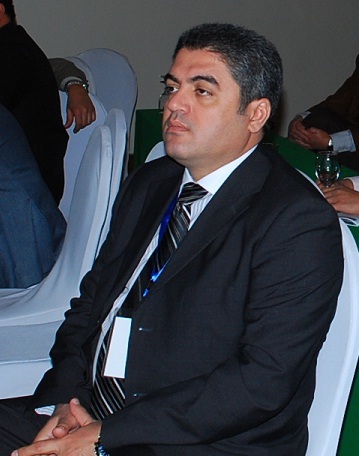 Dr. Mohamed Mohi Eldin served as the chief of neurosurgical services at Cairo University Hospitals, Al- Helal hospital for 15 years, and then Naser Institute hospital, introducing innovative image-guidance and minimally invasive techniques in a hosipital setting. During his time, he participated in medical student and nursing teaching. His practice is in close relationship with colleagues in orthopedics, pain management, physical therapy and neurophysiology. Dr. Mohamed Mohi Eldin provides his patients with the advantage of full access to a wide spectrum of conservative care prior to any surgical consideration. In case of surgical intervention, the least invasive options are entertained first. Through his affiliation with top nationally ranked facilities for spinal care, he provides his patients with outstanding track record in safety and satisfaction.